According to industry leaders and company representatives, consumers will enjoy a higher quality, fresher product, while Greek olive oil brands will gain greater international recognition as visiting tourists learn about them first-hand and share their knowledge in their home countries. 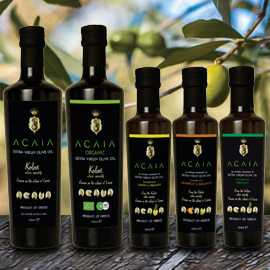 Restaurant, taverna, and café owners who had served their own family’s unbranded olive oil will have to adjust to the new requirements, but many feel this move--called for repeatedly over the years--was long overdue, given its earlier enactment in the other major olive oil producing countries of Europe. 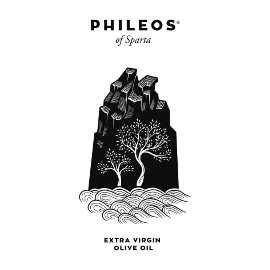 Since Greece is both the producer of the third largest quantity of olive oil in the world, and the maker of the highest percentage of extra virgin, which is the best grade of olive oil, many argue that it is logical to highlight the product’s excellence where international visitors will notice it most: where they eat. 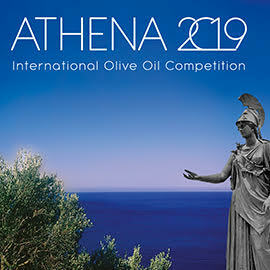 With Greek extra virgin olive oils winning numerous awards in international olive oil competitions annually, many say it makes no sense for tourists to be offered olive oil that has been exposed to the sun and air that degrade its quality, as the clear glass refillable containers previously used by restaurants could do. 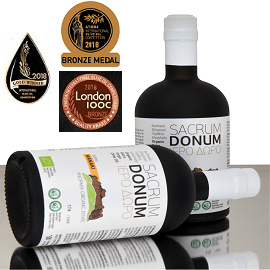 Properly packaged and stored extra virgin olive oil, on the other hand, better maintains its fresh, fruity taste and its health benefits, so it can win new converts to this flavorful, extra healthy juice of the olive fruit. The Association of Cretan Olive Municipalities (ACOM) reports that a survey of tourists indicated that the majority of responders was willing to pay from 50 cents to 1.50 euros extra per serving for food cooked with olive oil in restaurants, so ACOM’s scientific adviser, Nikos Michelakis, believes tourists will be ready to pay a bit more for bottled olive oil if asked, since they also pay for wine and bottled water. However, it is not yet clear if consumers will be asked to do that, or if restaurant owners will absorb the cost of standardized olive oil. In a recent press release, the Association of Greek Industries and Packers of Olive Oil (SEVITEL) also called the new law an effective tool for promoting Greek olive oil in international markets through the millions of tourists visiting the country—a point made in Athens in November at an evening conference about olive oil in the food services which also emphasized consumer protection and quality assurance. There, the General Secretary for Commerce and Consumer Protection, Antonis Papaderakis, and SEVITEL President Grigoris Antoniadis discussed the way the new measure can expand certification of Greek olive oil, reducing fraud, stimulating investment in bottling and branding facilities, and helping create new jobs. 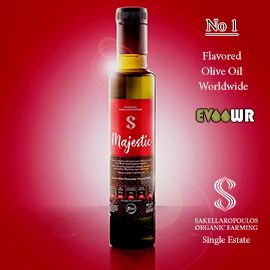 Antoniadis estimated that 8,000-10,000 more metric tons of olive oil will be standardized for use in restaurants, creating a whole new market for bottled olive oil in Greece, and thus a great opportunity for the olive oil industry. The president of the Hellenic Confederation of Professionals, Craftsmen & Merchants (GSEVEE) and of the Panhellenic Federation of Restaurants & Associated Professions, George Kavathas, argued that standardized packaging of olive oil in restaurants will also help develop a better, more unified brand name and image for Greek gastronomy abroad, thereby benefitting restaurant owners and employees as well. 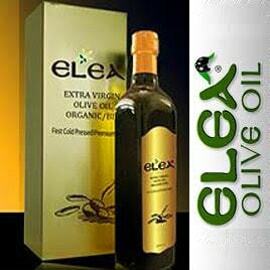 Alexandros Bikas, a reporter for Agronews.gr, explained to Greek Liquid Gold that “especially in Athens where we reported, we saw that luxury restaurants in the center now use olive oil under their own name.” This may be their own olive oil, or olive oil purchased from mills and standardized under a private label. Bikas reported in Agronews that he sees a gradual adaptation to the new regulation, with those who are not yet complying planning "to do so very soon or … waiting for the packages they have ordered," since they wish to avoid fines. The Association of Cretan Olive Municipalities explained that businesspeople in Rethymno, Crete view the new regulation as a good opportunity to guarantee the quality and nutritional value of local olive oil and help Cretan olive oil attract the appreciative attention of foreign tourists and their compatriots. Last month, Restaurant Association members in Rethymno met with representatives of the Union of Agricultural Cooperatives of Rethymno to discuss a collaboration for the standardization and purchase of 100 ml bottles of olive oil. Restaurant Association members with their own olive oil now have the option of having that oil bottled and officially labeled—a solution for those who had been using their own olive oil on their restaurant tables and wish to continue doing so. Considering the plans in Rethymno and a restaurant owner in Kalamata who had a local standardization unit bottle his olive oil for his restaurant tables even before the new law, Vassilis Zampounis tells Greek Liquid Gold he does not believe such action is common at this point, but he hopes that “in the olive producing regions, the good example set by businesses and professionals like [them] prevails.” Agrocapital similarly reports that the Lesvos Chamber of Commerce encourages businesspeople in the food services to use locally standardized olive oil, thus contributing to the promotion of the island’s products. Greek olive oil companies’ enthusiastic efforts to supply restaurants with appropriate products for use on their tables are the subject of a second article on the new regulation, "Greek Olive Oil Companies Respond to New Restaurant Law." Thanks to Nature Blessed for the photos of their products.